Hundreds of years ago, children died from many diseases and those who survived developed one severe physical abnormality or the other. Later, doctors and other scientists found out that some children managed to survive and also didn’t develop any of the associated abnormalities; moreover, they also discovered that these surviving children didn’t fall sick or die the next time they were exposed to the microorganisms causing such diseases, unlike children who were exposed to them for the first time. When the blood of these previously exposed and surviving children was analysed, it was found to contain antibodies produced by their immune system at the first exposure and which attacked and neutralised the disease-causing microorganisms in subsequent exposure. This gave rise to the concept of immunisation. Immunisation is the ability of the human body to produce antibodies against disease-causing microorganisms when exposed to them through the process of vaccination. Vaccination involves the use of vaccines to induce the human body to produce antibodies. Vaccines are weakened forms of disease-causing microorganisms which are less harmful than the real, live microorganisms and so cannot cause a disease when introduced into the human body; but they are obvious enough to stimulate the immune system to produce antibodies that can destroy the real, live microorganisms. When this happens, the vaccinated person is said to have developed immunity against the specific disease he or she was given a vaccine for. So, when this person becomes exposed to the disease-causing microorganisms, the body’s immune system quickly gets sensitized and produces antibodies which wipe them out before they can cause any symptoms of infection and illness. Every child given birth to is entitled to receiving the recommended vaccinations for the common diseases right from the day of birth. This is because a newborn baby has a fragile body which is very vulnerable to disease-causing microorganisms. Any exposure at this stage will either kill them or lead to serious health problems as they grow up. For instance, a newborn baby who doesn’t receive the polio vaccine will become vulnerable to the polio virus and when this virus strikes him or her, it will easily damage the nerves supplying his or her muscles; this leads to the muscles shrinking with time and the child having poorly grown thighs and legs, resulting in inability to stand or walk and subsequently leading to disability later in life. However, if this newborn baby receives the stipulated vaccines at birth and subsequently up to 12 months, his or her new immune system is cautiously and safely trained to develop immunity against the specific microorganisms. Exposure to any of such microorganisms will lead to the production of antibodies by the child’s trained immune system, providing protection for him or her. Nursing mothers are strongly advised to ensure their babies receive all the recommended vaccinations according to the National Programme on Immunisation. According to the schedule, every child is expected to receive vaccinations at birth, at 6 weeks, 10 weeks, 14 weeks, 6 months and 9 months. 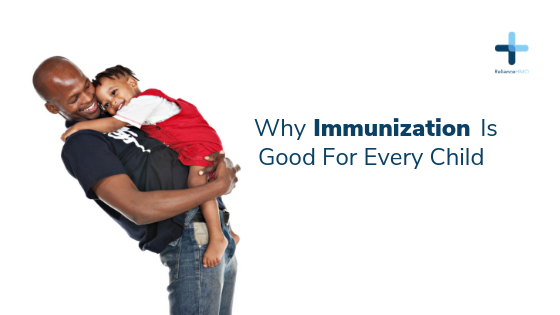 These vaccines enable the child to develop immunity against diseases such as polio, tuberculosis, hepatitis B virus infection, diphtheria, pertussis, tetanus, Haemophilus influenza type B infection, measles and yellow fever. The vaccines for the above diseases are safe as has been confirmed over the years. It is very wrong for a nursing mother or father to deny their child vaccination for any reason; doing so is one of the worst dangers you can ever expose that child to.